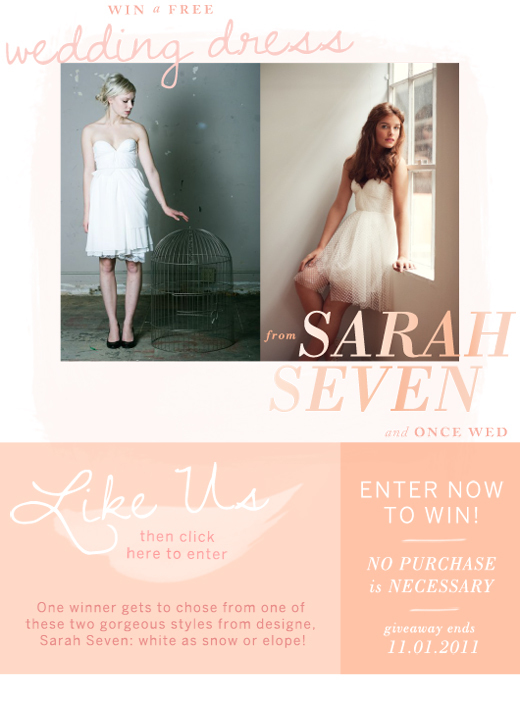 Style & Sensibility: Win a Sarah Seven wedding dress! Win a Sarah Seven wedding dress! You all know I'm a huuuuuge fan of Sarah Seven - the dresses are so detailed and romantic! And now you can score one for free by entering this contest over on OnceWed. The winner gets to choose from White As Snow or Elope. Pretty darn exciting! Click here to enter!! Both of the dresses are so beautiful. The second one looks similar to my homecoming dresses.